Three new army divisions will be formed this year to reinforce the Russian military in the western part of the country, Defense Minister Sergey Shoigu said. The new units will be formed amid NATO’s continuing build-up across Eastern and Central Europe. "I cannot but mention such a critical task which is the formation of three divisions in the western theater. The task is extremely important," TASS reported Shoigu as telling journalists. Shoigu also added that alongside the creation of the new divisions, the army will have to set up proper infrastructure including barracks, firing ranges and military hardware depots. 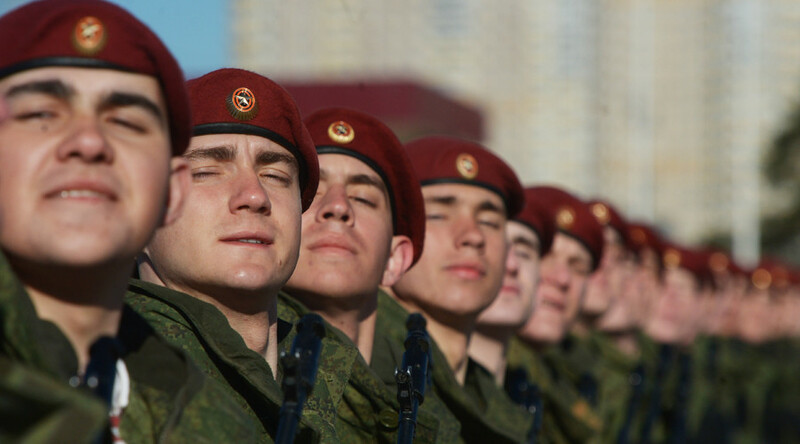 The new edition of Russia’s military doctrine, signed by President Vladimir Putin in December 2015, specifies that NATO’s militarization and arms build-ups pose a national security threat to Russia that requires an appropriate response. The standoff between NATO and Russia escalated last year after Ukraine, which previously insisted on its non-aligned status, went through a violent protest that ousted its elected government and imposed a new one with the West’s vocal approval. Kiev’s new authorities have since made joining NATO one of their strategic goals, claiming that they need protection against Russia. Over the past year, NATO has dramatically increased the number and pace of massive military drills across Europe, most intensively near Russia’s borders. In November, the alliance launched its massive “Trident Juncture 2015” exercises involving 36,000 troops, as well as more than 60 warships and around 200 aircraft from all NATO member states. Seven more partner nations were involved: Australia, Austria, Bosnia and Herzegovina, Finland, Macedonia, Sweden and Ukraine. This made Trident Juncture the biggest drill since 2002, when about 40,000 troops took part in NATO’s “Strong Resolve” exercise. Additionally, to boost what it calls its “deterrence” of Russia, NATO has moved a remarkable amount of heavy weapons, including tanks and self-propelled artillery, to Baltic states on a “rotational” basis. With the Kremlin having said that NATO’s build-up will lead to reciprocal measures, about 30 units and forces have already been created in the Western Military District since the beginning of 2015, according to the Russian Defense Ministry.